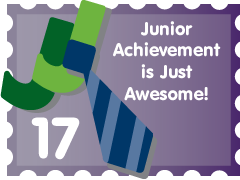 If you are here because of Junior Achievement, you should read this. If not, you should still read this but it might not be as relevant. As some of you know, I recently (about 4 hours ago) had the opportunity to meet a whole slew of incredible people. I was invited to sit on an entrepreneurship panel for Junior Achievement in Denver today and I’m writing this to thank everyone involved.